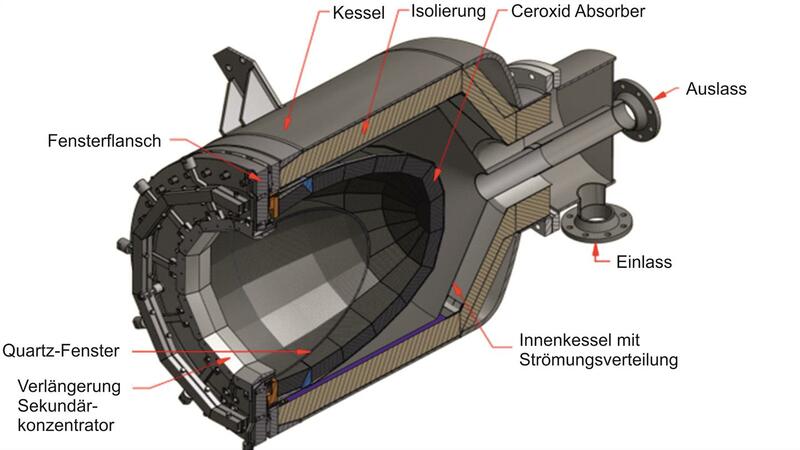 On 28 November 2017, the German Aerospace Center (Deutsches Zentrum für Luft- und Raumfahrt; DLR), together with international project partners, presented what is currently the largest solar-chemical installation for the production of hydrogen. In the HYDROSOL-Plant project, scientists and companies have jointly further developed the process of direct hydrogen production using solar radiation. By redeveloping both the materials used and the structure of the reactor, the facility can now provide a power of 750 kilowatts. This is a significant improvement over the previous development stage of this facility, which had a power output of approximately 100 kilowatts. In the coming months, scientists will produce hydrogen in test operations and demonstrations at the Plataforma Solar de Almería (PSA) in southern Spain, and investigate the suitability of materials. This international project, coordinated by the Greek Aerosol and Particle Technology Laboratory (CERTH-CPERI-APTL), is a collaboration between DLR, the Spanish Centro de Investigaciones Energéticas Medioambientales y Tecnológicas (CIEMAT), the Dutch company HyGear and the Greek energy supply company Hellenic Petroleum. The DLR Institute of Solar Research is predominantly responsible for the development of the solar reactor, the layout of the facility and the measuring and control technology. The project is funded by the European Technology Initiative on Fuel Cells and Hydrogen Joint Undertaking (Fuel Cells and Hydrogen Joint Undertaking, FCH 2 JU). Hydrogen is produced directly via a thermo-chemical redox reaction using the thermal energy of the Sun. A set of mirrors focuses the sunlight onto a single point that is heated up to very high temperatures. With this heat, water can be split into hydrogen and oxygen. 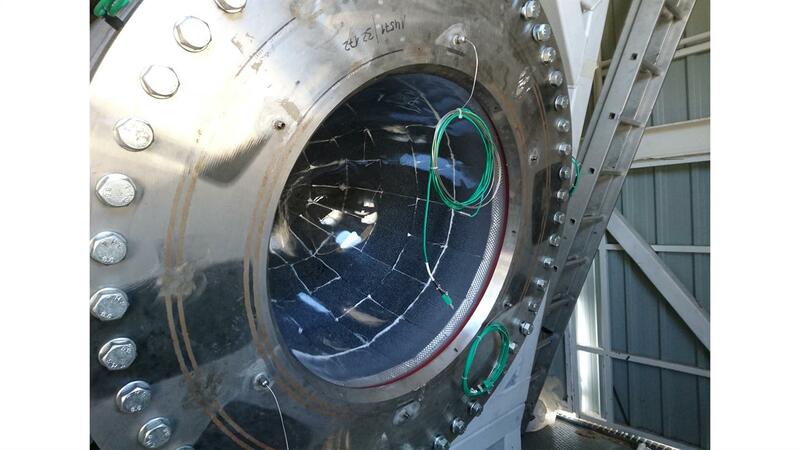 In the first part of the procedure, the Sun heats redox materials, such as nickel ferrite or cerium oxide, in the interior of the reactor to 1400 degrees Celsius. At these temperatures, the metal oxide is chemically reduced, that is oxygen is released and transported out of the reactor. The actual water splitting occurs in the second step, which takes place at 800 to 1000 degrees Celsius. Here, the researchers let water vapour flow through the reactor. The previously reduced material is reoxidised. As the oxygen is now bound into a metal oxide, it remains in the reactor, whilst the hydrogen is free to be transported out of the reactor. Once the material is completely reoxidised, it is regenerated through the first step of the procedure and the cycle starts again. Hydrogen is one of the most important basic chemical elements. At this moment it is mainly used in the production of fertilisers and to desulfurise crude oil. In Japan there are already 200,000 fuel cell systems are already being used in buildings. The aim is to also use hydrogen in large gas power plants to produce energy and thus replace fossil and nuclear power plants. The use of hydrogen in industrial applications, such as steel production, could also lead to significant reductions in carbon dioxide emissions. Researchers reckon that it will be at least a few years before the procedure is ready for the market and for commercial applications. “The first applications could act as a stand-alone solution, for instance in areas where there is no connection to the electricity network. In those cases, a production of 10 kilograms per week may already be worthwhile. Depending on how fast development progresses, in 10 years time it will be possible to use this procedure for the industrial generation of hydrogen,” Roeb is convinced. Source: DLR, press release, 2017-11-29.